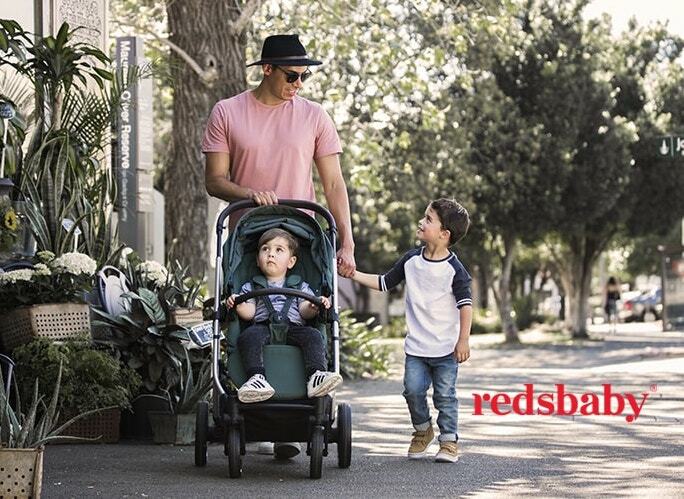 When you think of One Fine Baby Melbourne, stocking up on the hottest kids designs and spoiling yourself with some super stylish maternity fashion comes to mind. Don’t get us wrong, we love our top-notch fashion and design brands, but we have something special for you this year. How about meeting a vendor who might just have a significant impact on your family? May we introduce Cell Care, Australia’s largest and most experienced cord blood and tissue bank. More than 30,000 Cell Care parents have made the decision to provide an increased level of future health security for their family. Well-known media personality and mum, Rebecca Judd, has joined the growing ranks of Australian mothers choosing to store their baby’s stem cells with Cell care. Enter for your chance to WIN a 25 year cord blood and tissue storage! Cord blood is the blood that remains in the umbilical cord and placenta after the birth of your baby. It has been life changing in over 40,000 transplants worldwide in the treatment of more than 80 different conditions. Stored cord blood is currently being used in stem cell transfusions in place of bone marrow transplants for many life threatening conditions, such as blood cancers (e.g. leukaemia), immune system and metabolic disorders. Further research is being conducted on the impact of cord blood and tissue cells in the treatment of autism, type 1 diabetes, stroke, heart failure, spinal cord injury, Alzheimer’s, cerebral palsy and congenital hearing loss. The only time to collect and store your baby’s cord blood and tissue stem cells is at birth. So planning ahead is vital in the lead up to your big day. The collection process is quick and painless for both mother and baby and is performed by a trained Cell Care collector, obstetrician or midwife. In family banking the blood can become available immediately should your child or a compatible family member become ill.
Why not have a chat with the experts from Cell Care on the day? Making an educated decision for the long-term wellness of your family might just be the most important decision you make for quite some time. Cell Care are offering our One Fine Baby Melbourne visitors the chance to WIN 25 years of cord blood and tissue storage. For your chance to win visit the Cell Care stand at the Fair. Do yourself a favour and investigate what opportunities this might open up to your family. Medical advances happen so quickly, you never know what the future potential of your baby’s blood and tissue might be. So make sure you REGISTER for your FREE tickets to the Fair. Want to know more about Cord Blood and Tissue Storage? The major advantage to storing your child’s cord blood is that it is the ‘perfect match’ for them – no other source of stem cells can provide this guarantee. Your baby’s umbilical cord stem cells are a perfect match for your child. The closer the match, the greater the likelihood of the body accepting the transplant.